THERE is nothing like your first love. 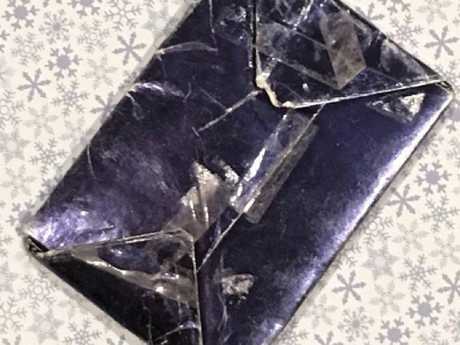 A man that kept an unopened present from his ex-girlfriend under the Christmas tree for the past 47 years after she dumped him has finally found out what it is. 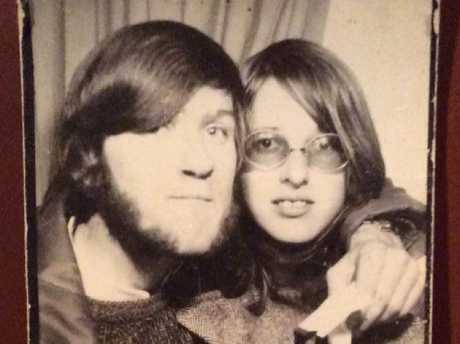 Adrian Pearce, 60, from Toronto, Canada, was dumped by his high school sweetheart Vicki Allen nearly half a century ago. 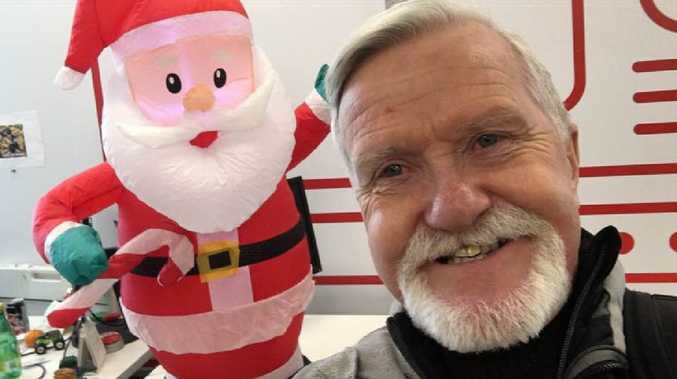 But he had been keeping an old Christmas present from his ex ever since she broke his heart in 1971 - and it was finally opened this year when the pair reunited, The Sun reports. The gift was a small book called Love Is: New Ways To Spot That Certain Feeling. The pair reunited after the story was first covered last year, when Mr Pearce post about the unopened gift he had kept for almost 50 years on Facebook, and a friend who knew them both sent Ms Allen a link to one of the articles. After getting in touch, Mr Pearce and his wife Janet travelled to British Columbia to meet his first love. Ms Allen opened the present for him as part of a charity event. 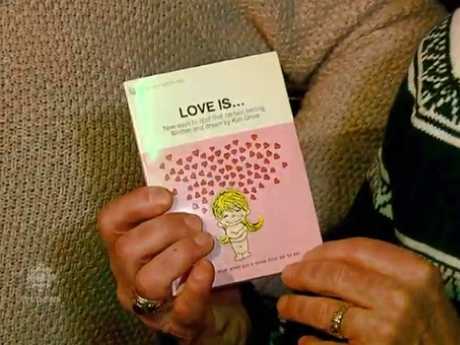 "It was a small book called Love Is: New Ways To Spot That Certain Feeling with a cartoons and sayings about love. The irony is extreme," she told the Daily Mail. Mr Pearce added: "Love is all of us, all of you, here tonight for the Christmas Bureau of Edmonton." Ms Allen said she was surprised and shocked that her former high school flame had kept the gift for so long. "I was surprised and shocked, when I first heard about it, I was astounded that anybody would hold a grudge that long, or remembered me that long or have been able to withstand the temptation that long," she said. Ms Allen dumped Mr Pearce because she had met, and was kissed by, another boy while shopping for his gift. Last year, Pearce told CBC: "She gave me a present at the same time and I took the present home. "I had a long walk home and I was all upset and angry, and all the things you feel when somebody breaks up with you." Once home, he decided to place the gift under his tree. "I told my family I'm never going to open that present." Mr Pearce then placed the present under the tree every Christmas for years - even after he was married and had children. His kids kept on asking him if they could open it but he refused. Finally, his wife put her foot down and banned the box from their tree. But the hopeless romantic still took out the gift, wrapped in crinkled and faded blue paper, every year to look at. Some of the tape didn't stick well from a time when, in a moment of weakness, he almost tore off the wrapping. Ms Allen opened the gift for Mr Pearce as part of a charity event for the Christmas Bureau of Edmonton, a local charity that provides Christmas meals to families in need. "Any ill feelings I have towards Victoria are long gone, I got over it, I've been married for 40 years," Mr Pearce told CTV News. "And now we've become friends so the fact that it's says 'Love Is' is actually rather appropriate now."